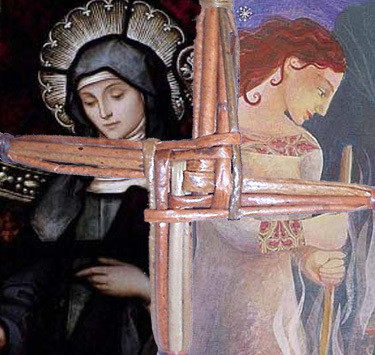 This entry was posted in Spiritualistic and tagged buds of Spring, Candlemass, Feast of The Bride, fertility, Goddess Brigid, Imbolc, rebirth, return of light, St. Brigid. Bookmark the permalink. 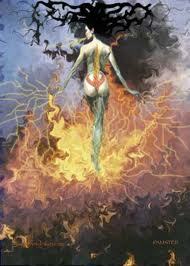 Who is the artist for the last print, of the fire goddess? What a lovely and inspiring piece about Imbolc-I need to think what I’m doing for an Imbolc altar. I am the same….I haven’t even decided what my ritual will be, but, there is a hint of Spring in the wind today and I was reminded of the coming Sabbat. Thank you for stopping by, I visited your blog and found it nourishing and beautiful! Are you sure that she’s not called Sheila? No, but…..I filed a formal complaint to the universe, and sadly, I was told there is no chance of changing Imbolc to The Feast of St. Sheila! Old timers are so rigid!